The EUR/USD currency pair couldn’t start forming an ascending structure. Today the price is expected to continue moving downwards. Right now the market is consolidating near the level of 1.2945 and trying to break this consolidation channel downwards. 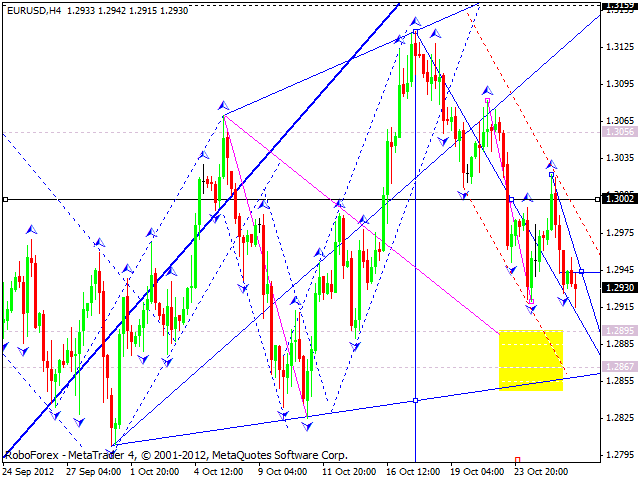 The target is at 1.2870. 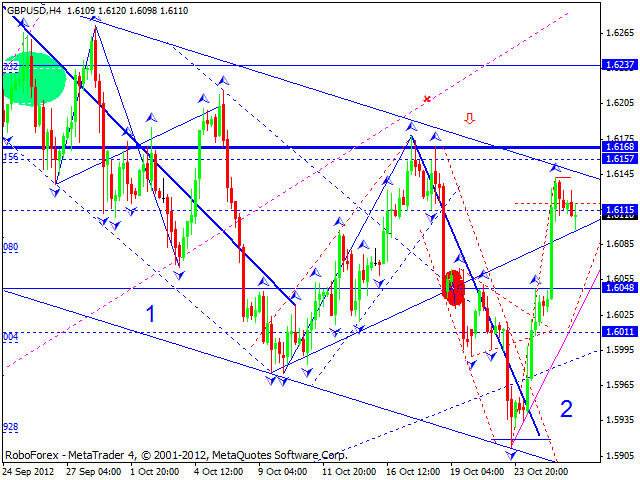 The GBP/USD currency pair completed another ascending wave. The structure of this wave implies that the price may start a new descending wave. At the moment we can see first signs of a reverse in a downwards direction. Today the pair is expected to start falling down towards the first target at 1.6000. 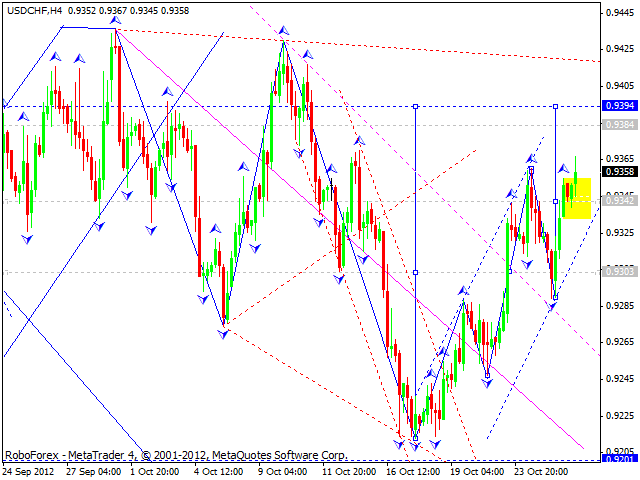 The USD/CHF currency pair completed a three-wave correction and started another ascending wave. Right now the market is consolidating near the level of 0.9342 and trying to break this consolidation channel upwards. After that we can expect the price to reach the target of this ascending wave at the level of 0.9390. The USD/JPY currency pair moved inside the trading range defined earlier. 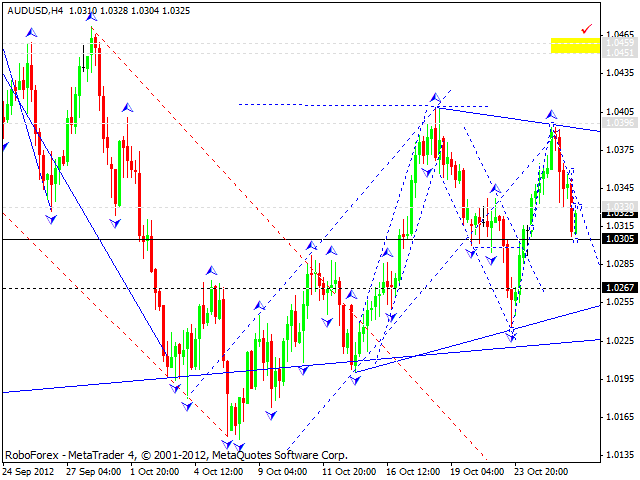 The current structure looks a bit like “divergent triangle” pattern. 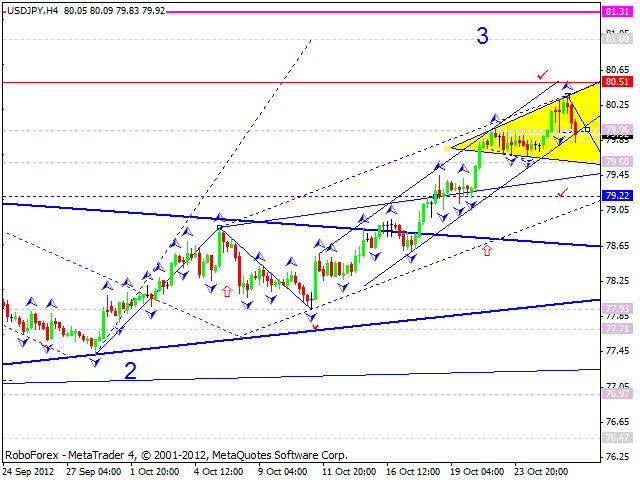 The target next of the upper border is at 80.50, of the lower border is at 79.60. Australian Dollar could only grow to the level of 1.0395 and then fall down towards the target at 1.0330. However, the market wasn’t able to keep the price there and start forming an ascending structure. Today the pair is expected to continue falling down towards the target at 1.0270. The market is forming “triangle” pattern. 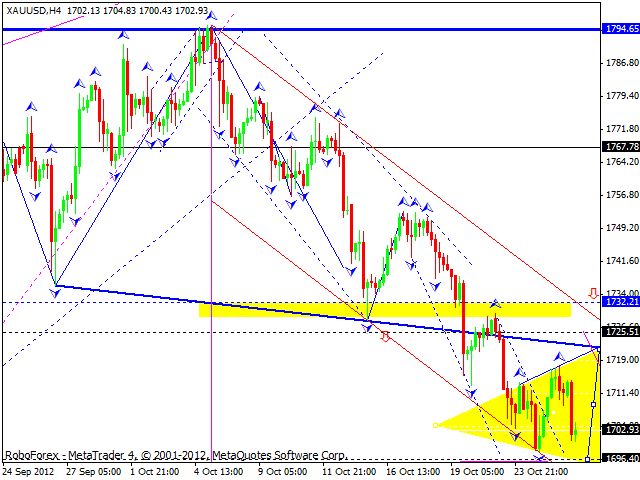 Gold continues moving inside a descending channel, there is a possibility that the price may form “divergent triangle” pattern. The upper border is at 1725, the lower one is at 1695. We should note that such patterns near the channel’s lower border usually make the price to break the channel and continue falling down.